Is Mourinho On His Way Out Of Madrid? Last month our Real Madrid Fan Site wrote that Mourinho and Valdano Were Feuding at Real Madrid and then earlier this month indicated that there is still More Trouble in Madrid. 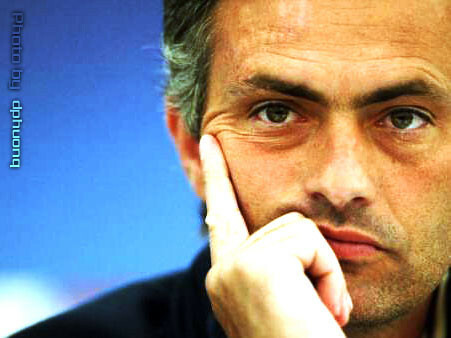 Well it seems that the internal politics at Madrid have gotten so bad that Jose Mourinho has refused to say that he will be back to coach at the Bernabeu next season. Mourinho is involved in a battle of wills with Real Madrid director general Jorge Valdano and President Florentino Perez that is reminiscent of his last days at Chelsea. At the heart of the feud is Gonzalo Higuain injury. Higuain is out for the season and Mourinho wanted Real to buy another striker this month as cover. This is not a situation that Mourinho can or will win. Yes his request for another center-forward is legitimate and is something he has be asking for since August. But at Madrid the managers are an afterthought, it is all about the players and the President. Mourinho is changing that. The crowds at the Bernabeu chant his name, something unheard of for a Real Madrid manager in recent years. I cannot see Mourinho managing Real Madrid next season, which will put Europe’s footballing elite on notice as he is still the best manager in football.